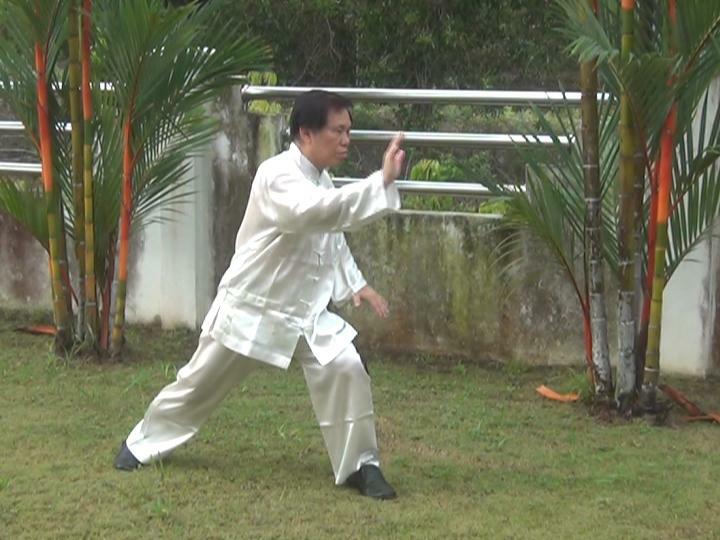 Tai Chi Chuan is not only an efficient fighting art; it is also effective for curing and preventing organic and psychotic illness like hypertension, rheumatism, asthma, gastritis, insomnia, migraine, depression and nervousness – the very same diseases that conventional medicine considers incurable. If practised properly it can prevent or relieve knee injury, which the American Academy of Orthopedic Surgeons reported in 1989 as the largest category of all injuries in the United States. Furthermore, it provides a gentle system of exercise for promoting health and vitality. In other words, you do not need to be sick or have someone attack you to enjoy the wonderful benefits of Tai Chi Chuan. If you feel you have no time to exercise, or working out in a gym is too demanding, practising Tai Chi Chuan is a good answer to your problem. Just 15 minutes a day in the comfort of your home can provide you with all the exercise you need but can find neither the time nor the energy for. The benefits are not just physical; the meditative aspect of Tai Chi Chuan and its emphasis on relaxed movement contribute to serenity of mind and clarity of thought. While many martial arts tend to make their practitioners belligerent and aggressive, Tai Chi Chuan helps its adepts to become calm and composed. This comes about not through moralising by instructors, but through the nature of Tai Chi Chuan practice itself. It is more suitable than most other martial arts for character development, as the very nature of its training, with its emphasis on gracefulness, gentleness and harmonious energy flow, is intrinsic to the development of mental freshness and cosmic harmony. A typical Tai Chi Chuan master frequently exhibits many qualities of a model martial artist: while confident of his martial skills, he is soft-spoken, humble, tolerant and at peace with himself and with others. But Tai Chi Chuan is not just a martial art; it is deeply rooted in Chinese philosophy and Taoist wisdom. The term “Tai Chi”, which literally means “the grand ultimate”, and figuratively “the cosmos”, originated from the Yi Jing (I Ching), the Book of Change. At the start of the classic Treatise on Tai Chi Chuan which we shall study in detail later, the great master Wang Zong Yue said that “Tai Chi is born from the Void. It generates movement and stillness, and is the mother of yin and yang. When moved, it separates; when still, it unites.” It is amazing how close this philosophy is to that of modern physics concerning the universe and the atom. If you have read this far, I hope I have impressed you with the wonders of Tai Chi Chuan. Some of you may find it hard to believe that these benefits are possible. This is understandable because only a few people have had access to the knowledge this book will share. There are various reasons for this, including a tendency on the part of past masters to withhold their secrets and a communication gap between the East and the West. You should not, however, accept anything in this book on faith alone, but practise it for some time, preferably with the help of competent instructors, then evaluate the teaching to the best of your understanding and experience. please e-mail Grandmaster Wong Kiew Kit. and mention this website as reference. E-mails without these particulars may not be answered.